By this useful Article I guide you that how to add Meta Tags, Title Tags and Description in Blogger Blog. Meta Tags are very important to introduce blogger blog for popular Search Engines such as "Google". If you have already added Meta tags to Blogger Blog, and make sure that you are well aware and followed the methods contained in this article to get better result in Search Engines. Meta tags are HTML tags that provide extra information regarding Blogger Blog to the visitors and readers. The keyword Meta tags show the keywords and keyword phrases a visitor might apply to find out blogger posts. As aggression of Meta tags Search Engines have turned into smarter and no longer place status on keywords to set up page ranking in Search Engines. Though keyword Meta tags are still used by few Search Engines therefore it is very nice proposal to hold them in blogger blog. Meta tags description in blogger template is tricky because blogger blog utilize the same Meta tags for all pages. This means Google Search Engine will show every entry of Blogger Blog in search results with same description. This solution could be unprofitable to drive traffic rather than increased traffic. However there is a method to insert Meta tags to the home page of Blogger Blog only which will not affect post pages in blogger blog. In this way visitors you will find the home page of Blogger Blog in search engines by the use of suitable keywords and a site description. Further I suggest that do not use description like old system, you can use keywords only, because this code is adjusted auto description and it will detect your Blogger Post Description, which you have already added in your blogger post. It is very high profitable for search engines. One thing note that use keywords only short and do not repeat it again and long keywords are not useful. For more information see the code below and add Blogger description properly. First go to www.blogger.com than navigate to Design and Edit HTML. Avoid from any mistakes back up blogger blog download full template and place it any place of Computer and check mark on “Expand Widget Templates” press (Ctr + F) command and search the following code line which is available in Blogger template. Now replace above code with following code, it is Search Engine Friendly Meta Tags for Blogger Post Page Title, it will show in search Search Result as your Blogger Post Title comes First than Home Page, lot of blogger added old techniques, this is new and latest techniques and getting good result. Now add the complete SEO friendly Meta Tags in your blogger Head Section. Copy the following complete code and paste it below of Blogger Head Section. Meta tags are very useful in most Search Engines, lot of blogger used old systems Meta Tags, are working properly but now latest new blogger templates added full latest and search engine friendly Meta Tags, which I have mentioned above full code use it and get more profit to get traffic quickly. Above Meta Tags are working best for SEO in Search Engines top Rank wait some days and get best result. 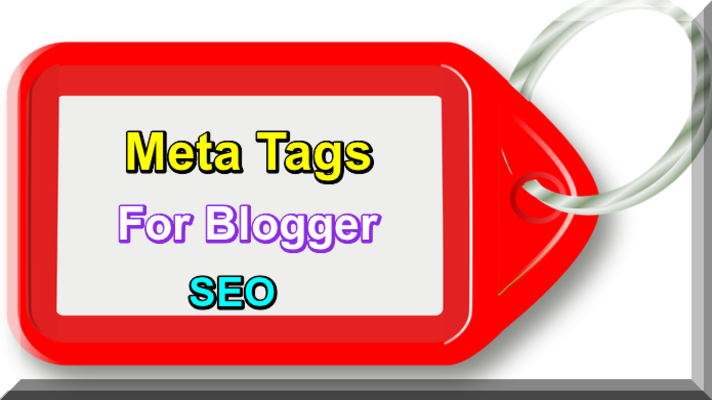 I hope you like this tutorial of Blogger Blog Meta Tags.